If you are new here, maybe you don't know that I'm a crafty person and that some time ago I used to publish DIY posts. Unfortunately the existence of Etsy and my lack of time put an end to my DIY career. Today I'm going to talk about earring stands. I do not have that many jewellery, but I do have a lot of earrings. I usually keep them in a drawer in boxes, but I don't see them and I don't wear them. 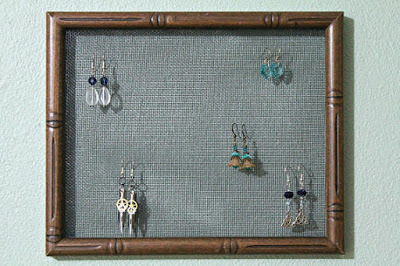 That is why I need an "in my face" earring stand, so I could easily see what earrings I have and wear them. 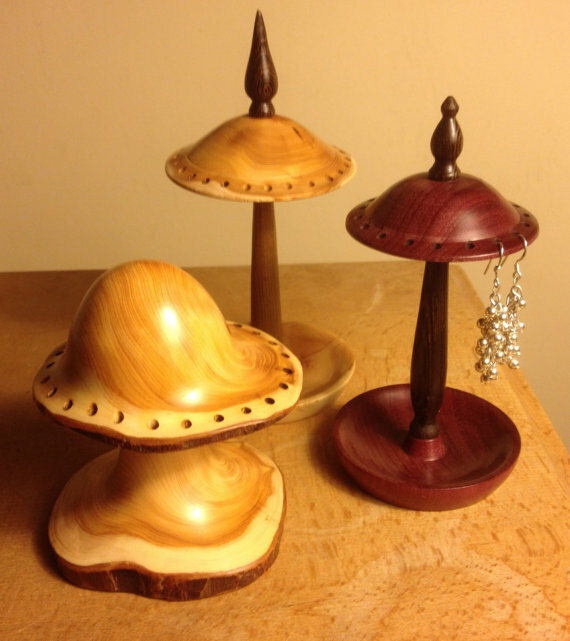 I will post pictures and links from Etsy, because maybe there are people out there who are not so crafty, but also I will write how I think the stands are made. What you will need is a box preferably one that is not that high. It can be a chocolate box left after Christmas, it can be a wooden box, doesn't matter. Then, I imagine you will need some fabric and some straws and a glue gun. You put each straw in the fabric and stick with the help of the glue gun, covering the straw in fabric. After you cover one straw, in the same fabric you stick the next straw until you have enough for the whole box. 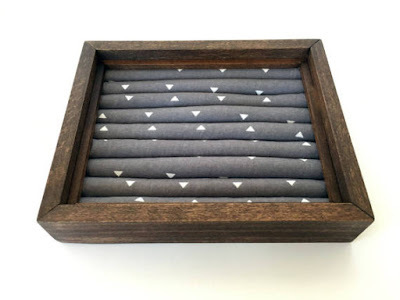 Then stick the fabric with the straws inside the box and that's it. 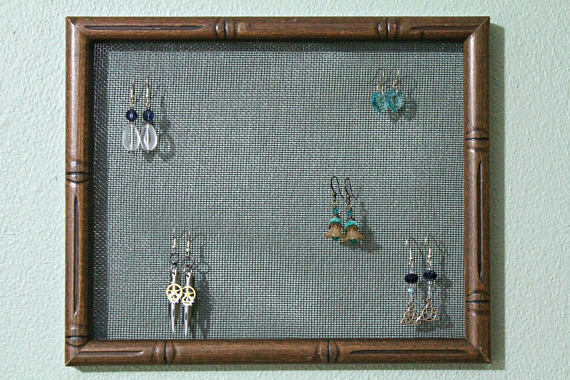 This one is good for stud earrings and I like it because you don't have to part the earring from the back holder, I usually lose them this way. If you are not a crafty person you can find the one in the picture here. This is an easy one. 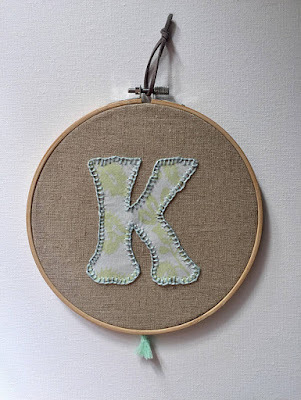 You just go to the craft or DIY store in your town and buy one of those wooden letters (as in the picture). 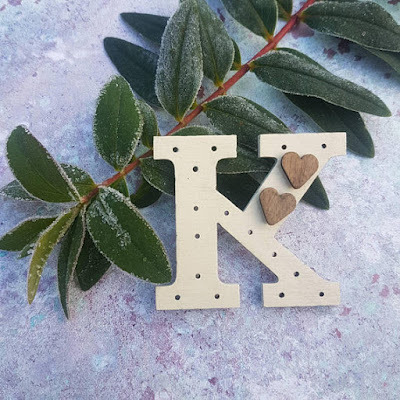 Them you can drill some holes into the letter with a small drill and that's it. 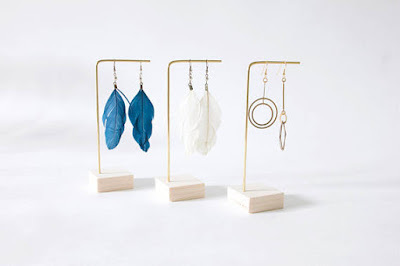 Being so small you can use this method to transport earrings on holidays or display them at home. If you are not crafty you can find them here. I've actually made this one and it's very easy. 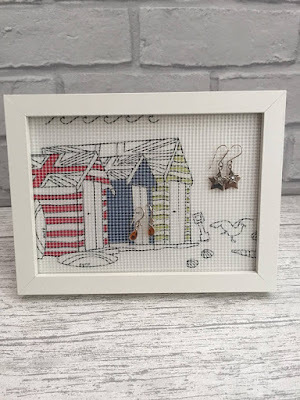 You will need a frame and a mesh and a glue gun or some small nails. Additionally you can drill holes for the hooks, like I did. If you can't be bothered, here is the one on Etsy. This is a variation of the previous idea. 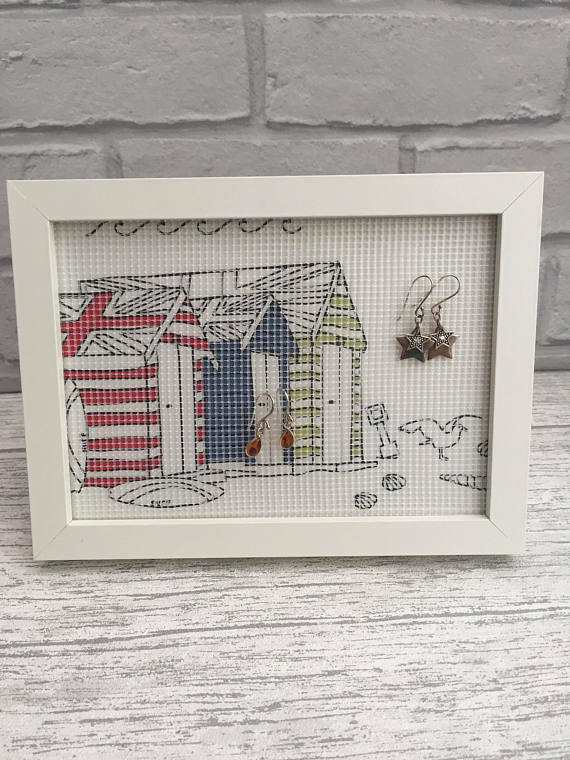 All you have to do is buy a frame and a cross stitch canvas, put them together and that's it. You, of course, don't need to stitch the canvas. Here is the Etsy one. For this you will need an embroidery hoop, some fabric and additional different fabric to glue or stitch on top and a string or something to hang the stand. Here it is on Etsy. How easy can this be? 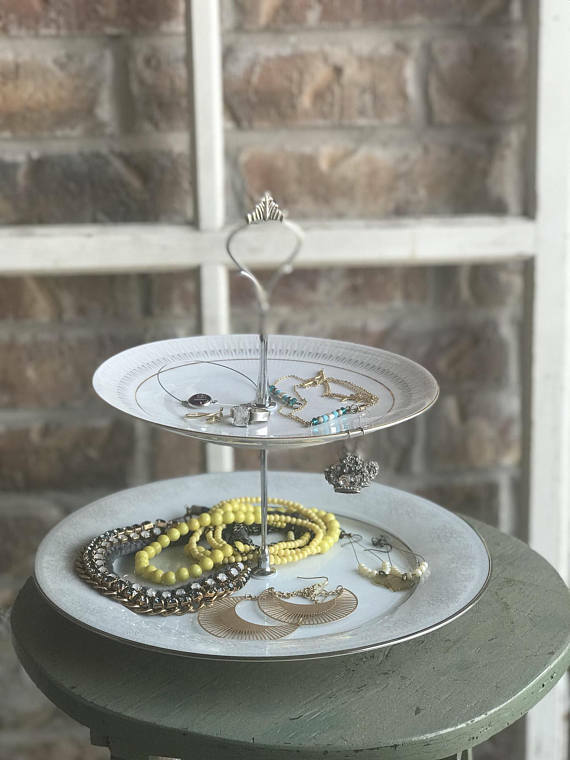 You go to the store and buy a cake stand and you put your jewellery in it. Or you can make your own stand from two plates and metal rods from the bricolage store. I imagine you just have to be very careful when you drill a hole into the plates. Here it is on Etsy. For this you will need some brass wire and a little piece of soft wood. It's easy and self-explanatory and here it is at 12 euros on Etsy. You really have to be crafty to make these earrings stands and I imagine you have to have proper tools, so 24 euro on Etsy is not that expensive. Here. But who knows, maybe you are that crafty.